According to the replies, it's a complete re-write of their legacy code and it's only in the early stages right now. The developers also said they will be writing a longer post, to explain why they are doing this when they have more to show. I imagine with all the built-in features Godot has, it could make working on it a lot easier. 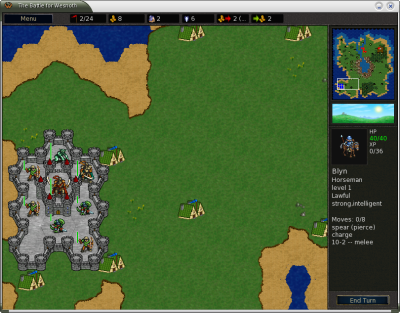 You can check out The Battle for Wesnoth on the official site or on Steam. I think that is a very smart move! According to forum post and the source on Github, the Godot engine is planned for 2.0, so it seems all version until then will keep on using the legacy engine. As a fan of Wesnoth, I'm happy to hear this news. Wesnoth is the first decent open source game that I've played, so even though I haven't play it in a while, it still has a spot in my heart. By moving to new engine, I hope my childhood game will keep on growing, so maybe someday my child will got to experience the same game as me. I doubt David White from 2003 could imagine his weekend project will keep played and developed 16 years later. It's really amazing to see what a dedicated open source community can do. BTW, it seems 2019 is a blast for game developer (especially in Linux community) with Godot reaching 3.1 and Blender reaching 2.8. Acrophobic BTW, it seems 2019 is a blast for game developer (especially in Linux community) with Godot reaching 3.1 and Blender reaching 2.8. Fully agree! 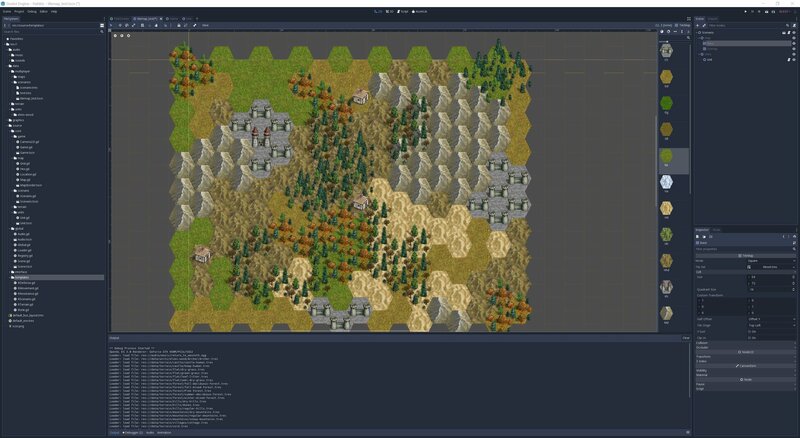 Godot, Blender, Krita, Tiled, and Gimp are all advancing quickly and growing into really professional tools. I myself couldn't be happier to be using them and be part of it all. beniwtv Fully agree! Godot, Blender, Krita, Tiled, and Gimp are all advancing quickly and growing into really professional tools. I myself couldn't be happier to be using them and be part of it all. Don't forget about Inkscape ! It's great and IMHO it's better than Illustrator for some part (except the lack of CMYK, of course). While we are taking about Inkscape, you guys might want to check 2dgameartguru again. It's active again after long hiatus, with a brand new website. It's one of the oldest Inkscape tutorial site (the one that I know, at least). Its first Inkscape tutorial is released back in 2011, so it has been 8 years since then. While there are many Inkscape tutorial out there, most of them is released in video format, which is quite heavy for us with slow internet connection. Meanwhile, the tutorial on his site is available mostly in image and text format. This make it easy to access, and can be easily printed and distributed to student. Disclaimer: I'm not related with him at all. I just learned many thing about Inkscape from his site. This is pretty cool news. Even though I haven't put a lot of time into Wesnoth yet, I really like it! This is definitely one of the best linux games out there. I don't remember exactly when I started playing it, but I found a savegame using version 1.3.14 from October 2008 in my archive of old stuff. I've had some fun with Wesnoth. It does seem like it's plateaued a bit of late years; I wouldn't be surprised if something like moving to a modern engine like Godot will make it easier to improve further. i said it! i said we need to do it with open source games, and they listened! ok, they probably didnt read my coment, but that is what we need!